Huntsville Vegans is hosting another free monthly movie night on Wednesday, November 05, 2014, with a screening of Peaceable Kingdom: The Journey Home (2012). Our movie nights take place at the Huntsville Public Library (in the auditorium on the ground floor) in Downtown Huntsville. “A riveting story of transformation and healing, PEACEABLE KINGDOM: THE JOURNEY HOME explores the awakening conscience of several people who grew up in traditional farming culture and who have now come to question the basic assumptions of their way of life. Join Huntsville Vegans for a free movie screening of Live and Let Live at the Huntsville-Madison County Public Library this Wednesday, October 8th. We will be in the main auditorium on the first floor. Jan and Karin transformed an intensive dairy farm into a retirement home for animals which offers refuge to cows, horses, pigs, chickens and many other animals rescued from certain death. Ria and Hendrik are activists who liberate chickens from a factory farm to bring them to a sanctuary. Chef Aaron used to slaughter rabbits, serve veal and foie gras at his restaurant, until one day he reconsidered his ways and opened an all-vegan Italian restaurant. Jack, a professional track cyclist training for the Olympic Games in 2016 in Rio, discovered he’s even faster on a plant-based diet. Through these stories, Live and Let Live showcases the evolution of veganism from its origins in London 1944 to one of the fastest growing lifestyles worldwide, with more and more people realizing what’s on their plates matters to animals, the environment and ultimately – themselves. Members of Huntsville Vegans will bring some of their favorite simple vegan dishes to share during the movie screening. While we love vegan dishes that take a bit longer to prepare (lasagna! seitan! ), for this food share we are focusing on simple foods so that new and aspiring vegans can take home some great ideas for easy and delicious meals. If you’d like to bring food to share, that would be wonderful! Please make sure your dish is vegan, and if you have any questions message us on Facebook and we’ll be happy to help out. Fruit is always welcome at events, so if you’d like to contribute but are still working on your cooking skills, some cut watermelon or a bowl of grapes is an excellent way to support the food share. But don’t worry! You don’t have to bring food in order to attend! We want to share this movie and food with you, so just bring yourself and an open heart and mind and you’ll have a great time. Please join us! Everyone is welcome to attend! In honor of World Day for Farmed Animals, members of Huntsville Vegans will participate in a Fast Against Slaughter and will distribute informational materials to students at UAH. For more information on World Day for Farmed Animals, visit the official webpage and read “Why Do We Need ‘World Day for Farmed Animals’?” by FARM Executive Director Michael A. Webermann, published in the Huffington Post. Most farmed animals are starved for at least 12 hours on their way to slaughter. On October 2nd, in solidarity and remembrance of their suffering, we encourage you to join us in a one-day fast against slaughter. Sign-up on FARM’s website to take the pledge here. Join FARM’s official Facebook event here. Join Huntsville Vegan’s Facebook event here. Members of Huntsville Vegans will hand out informational brochures at the UAH campus to spread awareness about the benefits of a vegan diet – for your health, the planet, and the animals. If you’d like to help hand out brochures, meet us at Charger Union. We will have brochures for you to give out and can help answer any questions you may get from students. To celebrate breaking our fast, we will have a dinner at Saffron Indian Restaurant in Madison instead of our usual Friday meetup. Join us for some delicious Indian food! 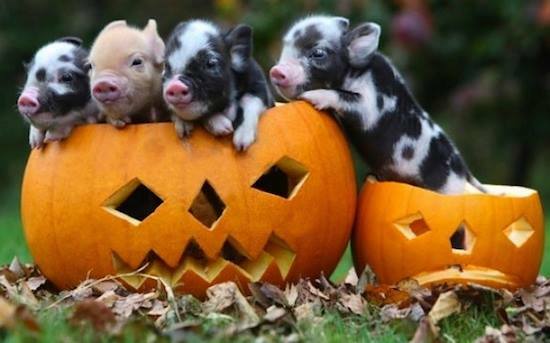 Please join us to spread awareness of the treatment of farmed animals. 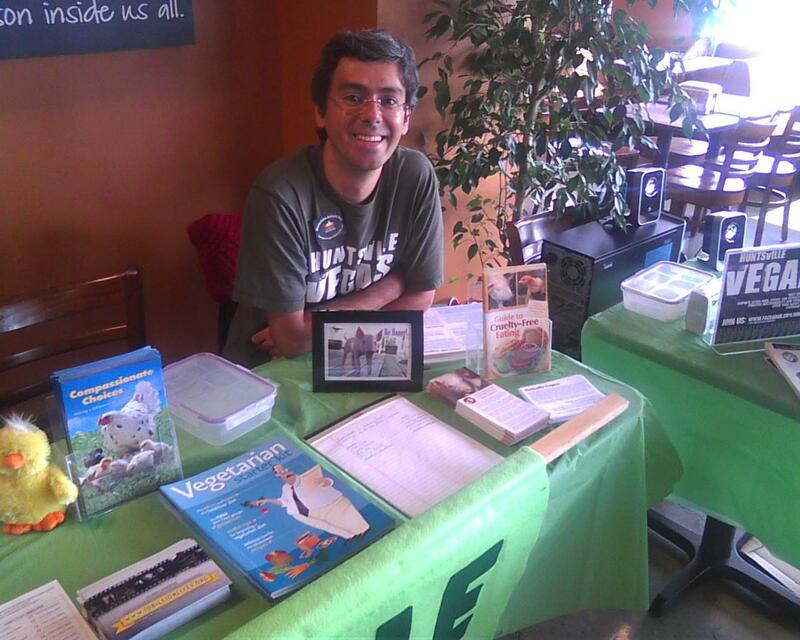 On Saturday, September 20th, Huntsville Vegans will have an informational table at Earth Fare in Huntsville from 12:00 – 3:00PM. We will have free vegetarian starter guides and will be happy to answer questions about veganism. Come visit our table or hang-out with us and help us answer questions! Look for us in the cafe area underneath the giant calendar! Cowspiracy Screening Tonight! SOLD OUT Event! 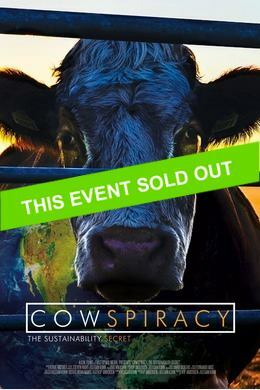 Our screening of Cowspiracy: The Sustainability Secret has sold out! Thank you for your support! If you purchased a ticket online, please print the receipt you received in your email from Tugg events and bring it to the theater. You can also show your receipt on your phone. Stick around after the screening to meet other people interested in the environment and veganism! Cowspiracy Minimum Ticket Sales Met! 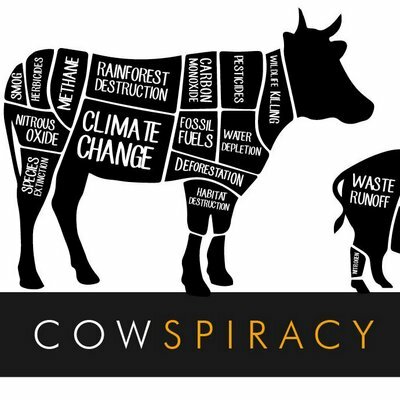 Our screening of the movie Cowspiracy: The Sustainability Secret has met the minimum number of tickets required and will take place on September 11th! We’re very grateful to everyone who helped to promote the event and reserved tickets! Thank you for your support! You have made this screening possible. If you have not yet bought a ticket and would like to attend the screening, you will need to purchase your ticket online at least four hours before the event. and there is a cap on the number of tickets available. Currently, only 14 tickets are available for purchase. Please visit http://www.tugg.com/events/10584 to reserve your ticket. Many, many thanks again to everyone for your support!